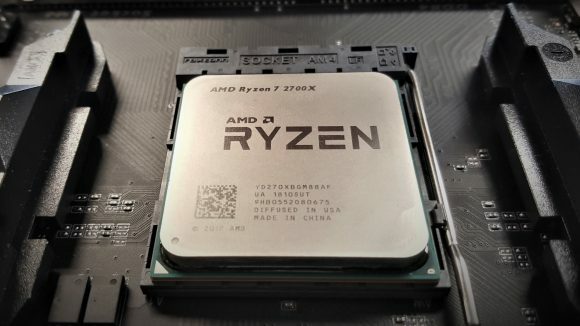 On Monday Intel released the results of a benchmarking session commissioned to test the relative performance of its new 9th Gen Core CPUs against both the 8th Gen and its AMD CPU rivals, and today Principled Technologies admitted it hobbled the Ryzen 7 2700X benchmarks by using Game Mode for consistency. I didn’t spot the error when Intel originally provided us with the benchmark results at the New York event on Monday, but it has now come to light that the reason the i9 9900K can sometimes deliver up to 50% higher gaming frame rates than the AMD CPU is because of the 2700X being artificially limited to quad-core performance. 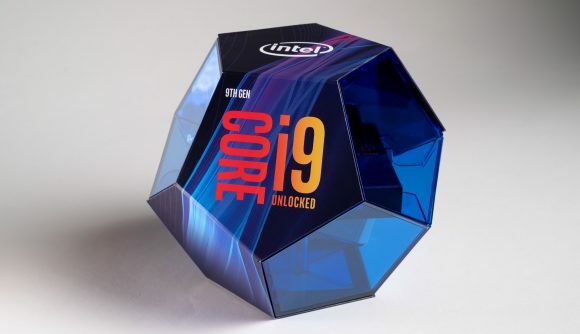 After the backlash about the relative benchmark report Intel stood behind the results shown by Principled Technologies, releasing a statement claiming that “the data is consistent with what we have seen in our labs” and still expected the reviewing community to proclaim the Intel Core i9 9900K as “the world’s best gaming processor” when the shackles come off the publication of our own independent testing. Principled Technologies, however, are starting to backtrack – at least on the point about Game Mode – and has released a detailed statement regarding the different issues raised by its testing methodologies, promising to update the initial report with new results without the Game Mode feature turned on. “Some inquiries we have received concern the use of the Ryzen utility and the number of active cores in the AMD-based systems,” says Bill Catchings, co-founder of Principled Technologies. “Based on AMD’s recommendations and our initial testing on the Threadripper processors, we found installing the AMD Ryzen Master utility and enabling the Game Mode increased most results. Game Mode is great when you’re running a Threadripper system with a gazillion cores and want to play without messing around adding extra latency as the system tries to juggle cores, threads, and memory connections. Essentially it temporarily disables half the cores in a chip and gives it the ability to be selective about which memory channels to use. 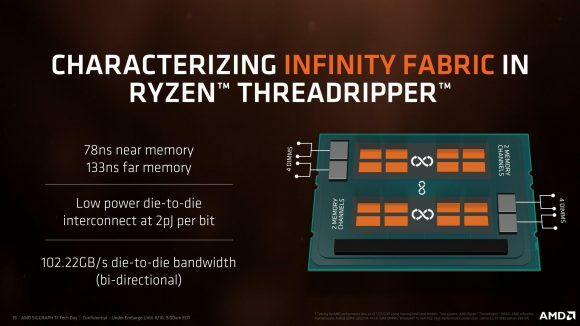 In Threadripper only two of the four memory channels are directly connected to the CPU dies, this results in near and far memory with different latencies. With Game Mode on it will always use the nearest memory first. 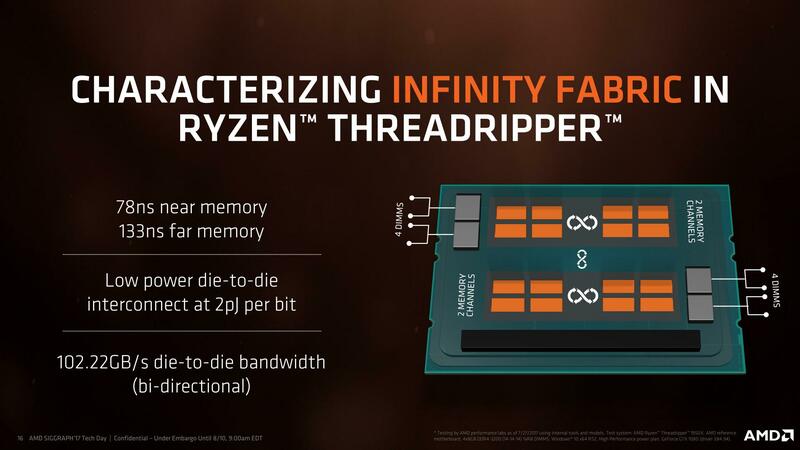 Unfortunately, by leaving it on ‘for consistency purposes’ that meant the Ryzen 7 2700X was cut in half, leaving it as a quad-core, eight-thread CPU trying to go up against Intel’s new eight-core, 16-thread chip. Hence the large disparity between gaming performance, especially on CPU-intensive games such as Ashes of the Singularity. As for the suggestion that it had been setting the memory up incorrectly that has been refuted by Principled Technologies, who claims to have been using both XMP on the Intel chips, and DOCP on the AMD ones, to provide the proper memory frequencies and timings. The company has also detailed that it isn’t using any core-boosting motherboard techniques from Asus to ensure that the Intel chips are running at stock frequencies. 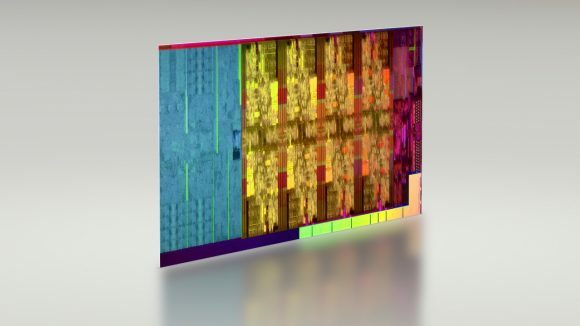 We had hoped to have some updated comment from Intel about the response Principled Technologies has made, but so far it has declined to make any further statement aside from looping us back around to the benchmarking company’s latest comment. As always, if we hear anything new from Intel we’ll update you.